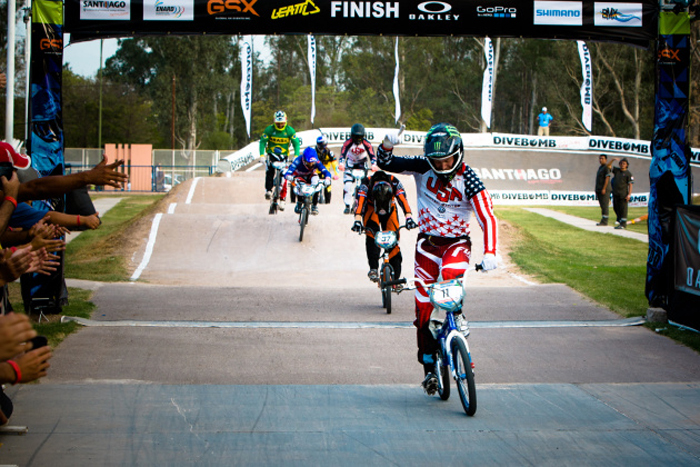 Connor Fields wins the UCI BMX Supercross World Cup Main event! Chase BMX Elite Rider Connor Fields had a perfect day wining every lap that he raced at the 2nd round of the UCI BMX World Cup Supercross tour. Connor kicked things off on Friday with the fastest lap in the Time Trial and then winning the SuperFinal TT, edging out Joris Daudet for the SuperFinal Championship of the day. The 3 days of BMX racing was not only met by perfect weather, but some of the best fans in the BMX World! 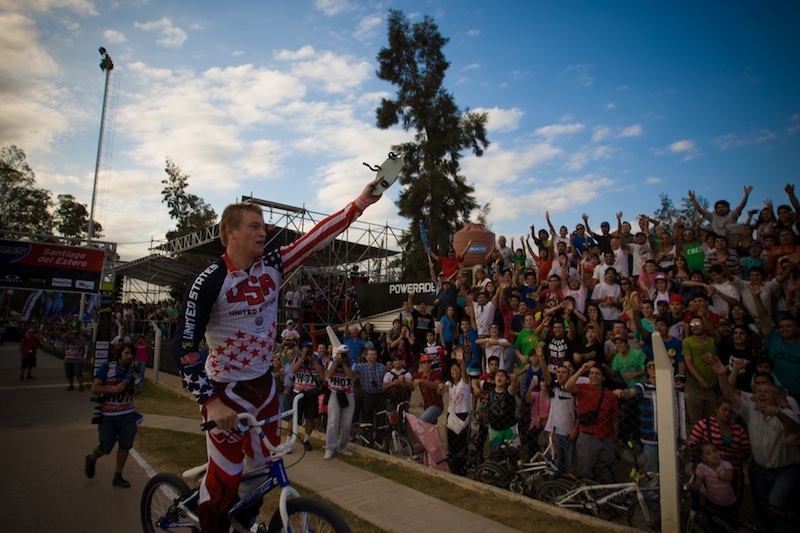 The passion for BMX in South American is huge and the crowd in Santiago del Estero was even bigger! The BMX fans made for one of the best events in UCI BMX SX history and the racing that Connor and the rest of the Elite riders gave back to them was greatly appreciated! On Saturday, the picture perfect weather was slightly hampered by slight winds and overcast conditions, but the racing on the track was turned up a notch. Connor started off the day with 3 impressive moto wins, each lap just slightly faster than the last. In the 1/4 final and semi finals, Connor once again rode flawless and made his way into the main event. With an all star line up in the main event, Connor lined up in gate 1 and as it dropped, he dragged raced down the 1st strait with Joris Daudet and Jelle van Gorkom, up to the first turn, but as he landed on the backside jump into the turn, he powered his way to a decisive lead and pulled away from the pack, all the way to the line for the win! Connor was super pumped to not only win his first Supercross of the 2013 season, but was stoked to get the win in front of the South American fans! He now heads home to the USA and gets ready for the USA Cycling National Championships next weekend in Chula Vista, CA. You can also watch the UCI BMX World Cup Supercross events on Replay on www.BMXlive.tv as well.